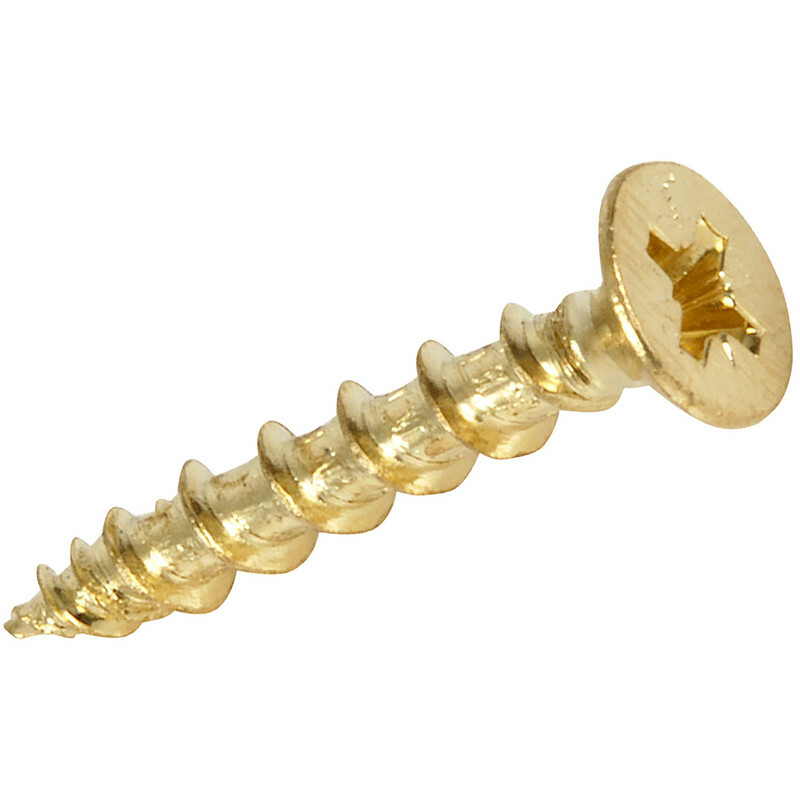 Hinge-Tite Countersunk Brass Plated Pozi Screw 4 x 30mm (50 Pack) is rated 4.8 out of 5 by 16. Rated 4 out of 5 by Anonymous from Brass and drive nicely by hand and impact driver Its all good only thing is price. Make em a 50p cheaper and i'll em more often. Rated 5 out of 5 by Bugsie from A good screw These screws are just right for the job. Pre drill first and you have an excellent fixing that holds. Rated 5 out of 5 by MikeDB from Really good Never been happy with most screws for attaching window hinges - always something wrong but these are perfect. Rated 5 out of 5 by Bugsie from Screw it. Brilliant screws, good threads for a tight fixing.